With a world that is starting to become increasingly dependent on the likes of TV dinners, having a healthy diet can be pretty tough. As more and more people have started to skip breakfast and depend on the junk food that is available around the corner, the obesity rates have risen. Here are a few healthy alternatives to help you along the way. 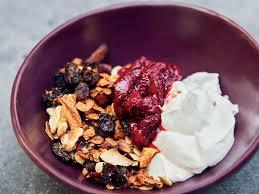 Granola and Greek Yogurt- Granola has always been a great protein supplement with its sesame and pumpkin seeds. Adding this to a few spoonfuls of healthy yoghurt, make it a tasty snack that does not load on the calories. Hard Boiled Eggs- Eggs are an excellent source of protein and are given the unfortunate label of being unhealthy because of the heavy use of oil. 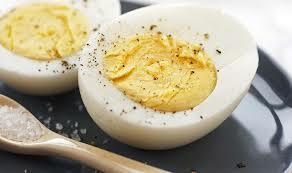 A hardboiled egg gives your body a quick protein punch while also being an easier meal to have on the go. 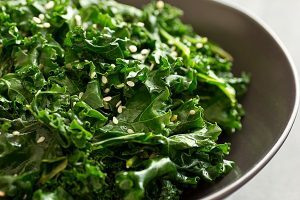 Sesame Roasted Kale- A lot of people refuse to look at Kale as anything other than their childhood nightmares returning, but kale leaves completely change when they have the added crunch only a visit to the oven can give them. 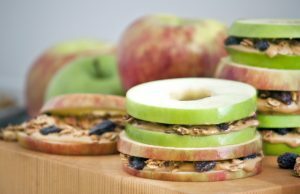 Apple peanut butter sandwich- Spreading your apple slices evenly across the bread with a drizzle of honey and some peanut butter can make for a tasty snack during the workday. This is also easily transportable and you can take it with you with ease. 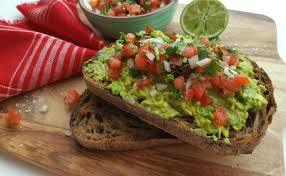 Avocado and salsa on toast- A mix of mashed avocado and some salsa on toast can be a great breakfast to jumpstart your day. You can whip it up in no time and it will also keep you from skipping an important meal. 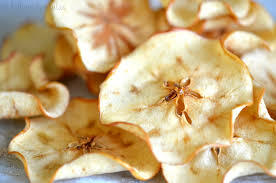 Baked Apple Chips- Rather than giving up chips for good, take the alternative and get a much-needed dose of carbs as well. Add some cinnamon and sugar and they taste better than a store-bought version of a healthy treat. 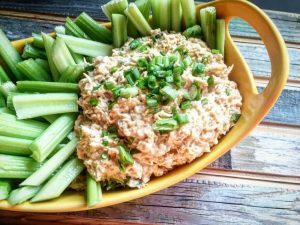 Celery sticks and Skinny Buffalo Chicken Dip- With the crunch from the celery sticks and the tangy flavour from the chicken dip, this has proved to be a tasty addition to the list while also helping you get in your greens. 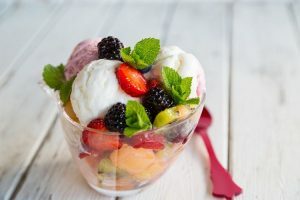 Fruity Frozen Yogurt- Adding some naturally sweet fruits to your yoghurts give it a great kick and increases the nutritive benefits as well. All in all, it makes for a refreshing treat that you can take with you for a midday break.